HOLY SMOKES. 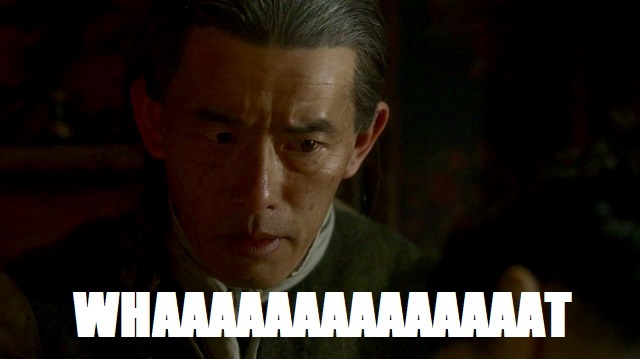 Outlander is on FIRE. Literally. 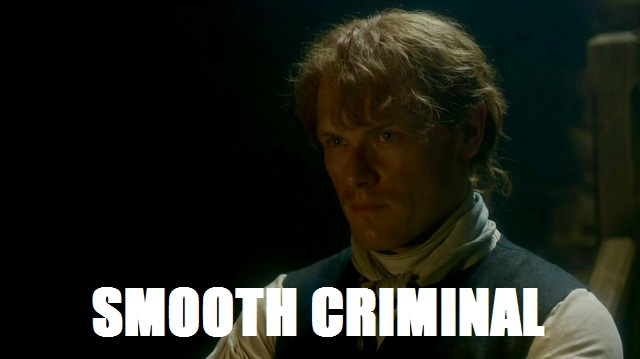 I just knew Jamie’s smolder would ignite something one of these days. Episode 307, “Crème de Menthe,” had me on the edge of my seat with all of its turmoil, bromances, and villainous excise men. 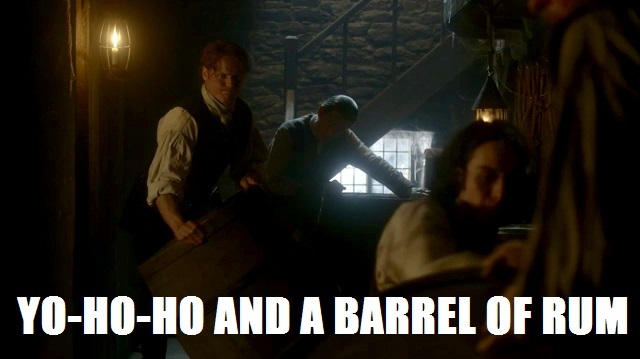 Also, I’d almost forgotten what kind of zany 18th century hijinks Claire can get herself into, so that was a welcome return. 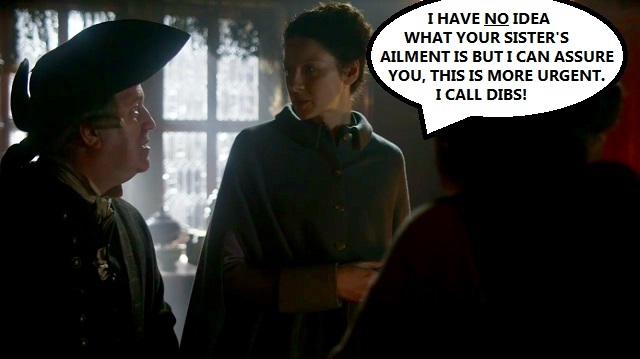 We have a lot to discuss and fortunately, I don’t have to run off to the apothecary or hide any smuggled brandy, so let’s jump right in with this week’s Outlander Superlatives! Move over, Jamurtaugh. Step aside Rupgus. 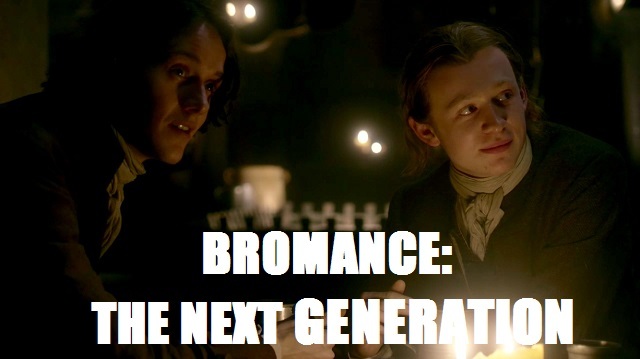 There’s a new bromance in town! 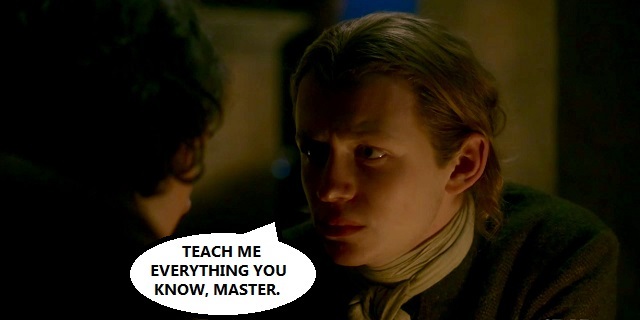 Take one young Frenchman who was born in a brothel and thinks he knows everything. Add one wee Scotsman who knows nothing about making his move on a lass. Throw in a dash of sordid tales and a pinch of shock. And bake at 350 until you get the desired results. These two. I can’t wait to see what they cook up next! 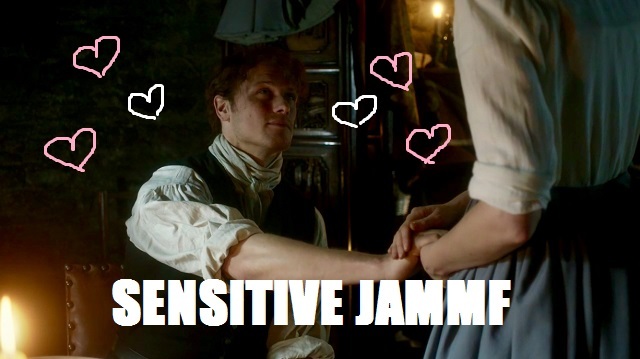 I love what a good man Jamie is. I love that when he says, “You have my word,” you know you always have his word. But you know what else I love? Maybe more than anything else in the world? A bad boy with a heart of gold. Alexander Malcom is such a bad boy with a heart of gold! Oh, and he’s also sort of a bigamist now. But not on purpose, guys! Claire and Jamie may not have aged at all, but let’s be honest. Ian Sr. has seen better days. 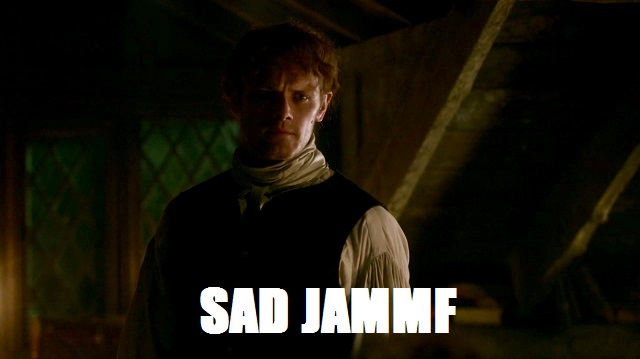 He’s already worried about his missing son, he’s got about 37 kids at Lallybroch now (give or take), and you know Jenny never stops talking about that time her brother lived in a cave. So yeah, the old ticker probably has seen its share of strain. 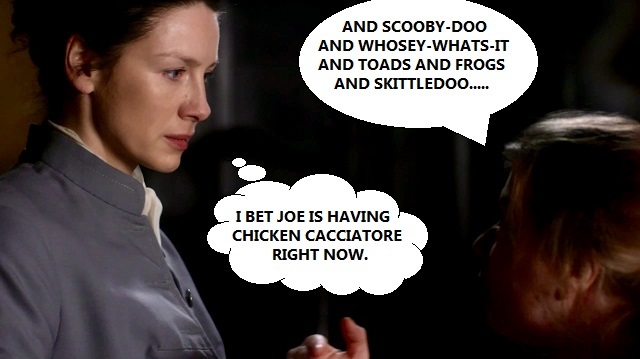 And then those jokers Jamie and Claire come along and make him think he’s seen a ghost. 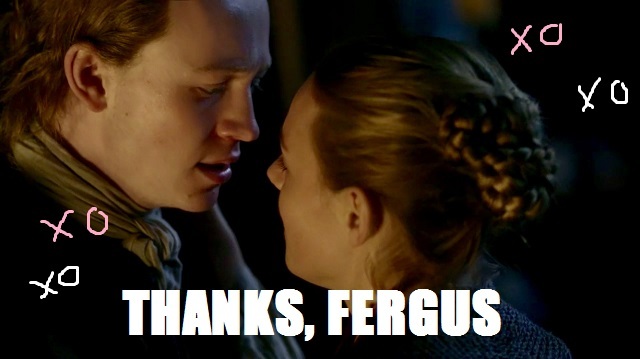 You’d better hurry home to Lallybroch, Ian. You do NOT want to be around these two come April Fools’. 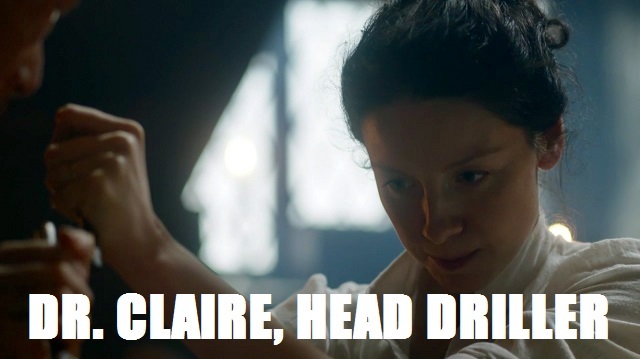 Keep it cool, Claire. That’s all I’m saying. And thanks to her master negotiating skills, she succeeds! All she has to do is visit this seemingly harmless man and his sister. No big deal, right? It’s a bird! It’s a plane! It’s…SuperJAMMF!!! 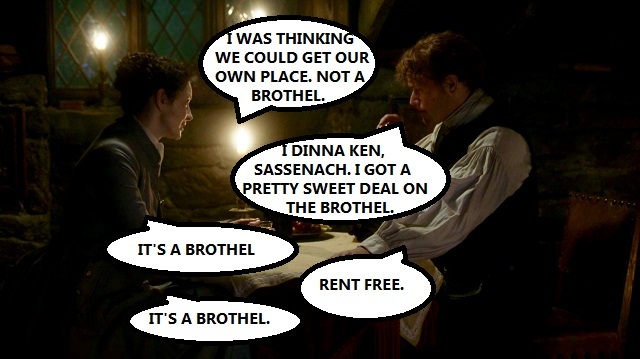 I guess I’ve always known JAMMF is Superman. He has enough aliases, he sort of wears a cape, and he’s made of steel. 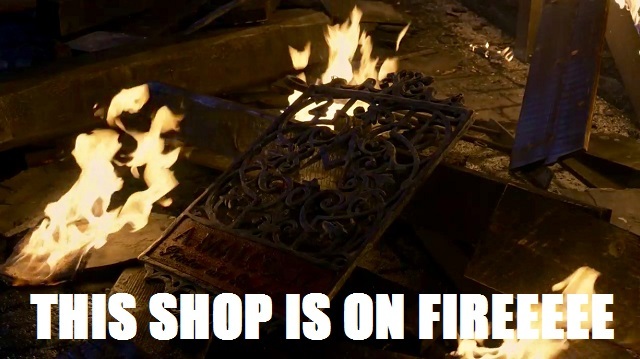 But running into that burning building to save Wee Ian confirms it. In a surprising turn of events, I guess this makes Ian Lois Lane? 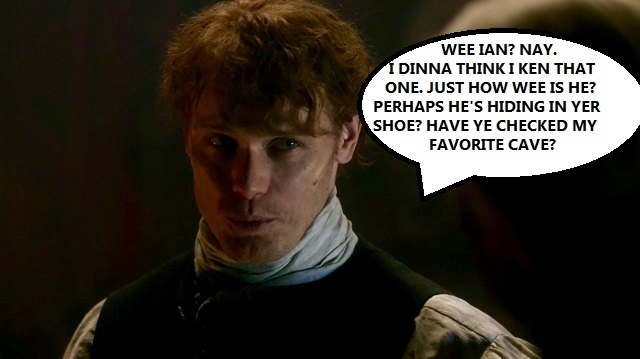 Yes, Claire, I get that you’re annoyed with JAMMF. He’s lying, he’s smuggling, his bangs have this weird curly thing going on–but telling him that he has no idea what it’s like to be a worried parent is a LOW BLOW. He hasn’t been able to raise ANY OF HIS CHILDREN! 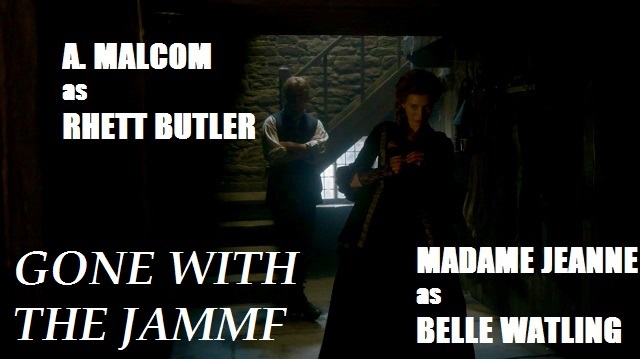 Bree’s off in the 1960s wearing amazing purple watches, Wee Willie Winkie is in England being a fancy little lord–and JAMMF is here with Madame Jeanne and some pamphlets. 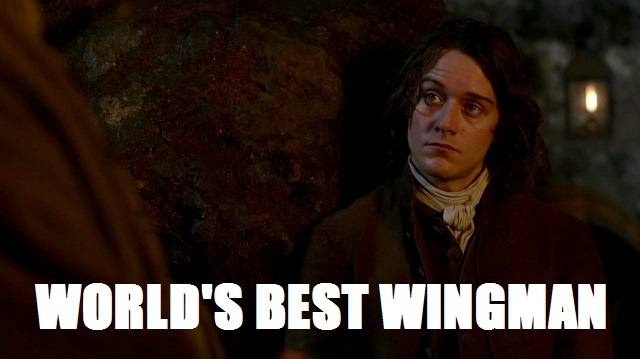 And I would argue that all he’s done for twenty years is be a worried parent, because he didn’t know what became of Bree and also he had to leave Willie and also he has Fergus and his one hand to think of. So cool it, Claire. COOL IT. Another episode totally broken down. I think you converted everything! Good job Steph!!!! Especially after all the griping and hand-wringing going on on Twitter. Poor Ian really does take after his uncle, can’t even get his rocks off without getting beaten up and the building burning down around him! Glad you pointed out how people who claim to love Jamie – Claire, Jenny, Ian Sr. should never ever tell him or imply he knows nothing about parenting. Way to turn the knife! 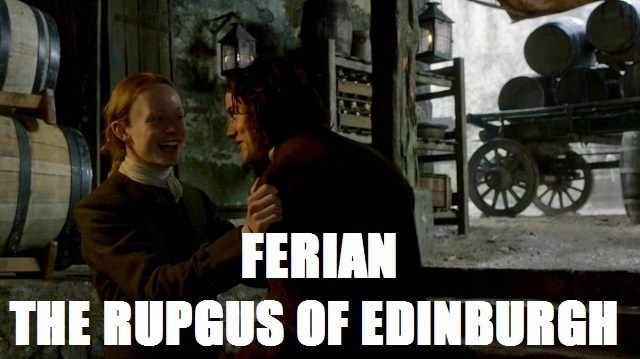 And even inaccurate considering Fergus adores him and Claire knows he had some years with Willie. Even the mésalliance with Laoghaire wouldn’t have come to pass if she didn’t have those 2 adorable daughters Jamie could shower his frustrated dreams of fatherhood on.